This week has just flown by, just like this year! After one bachelorette party last weekend, I just got home from bachelorette party #2! 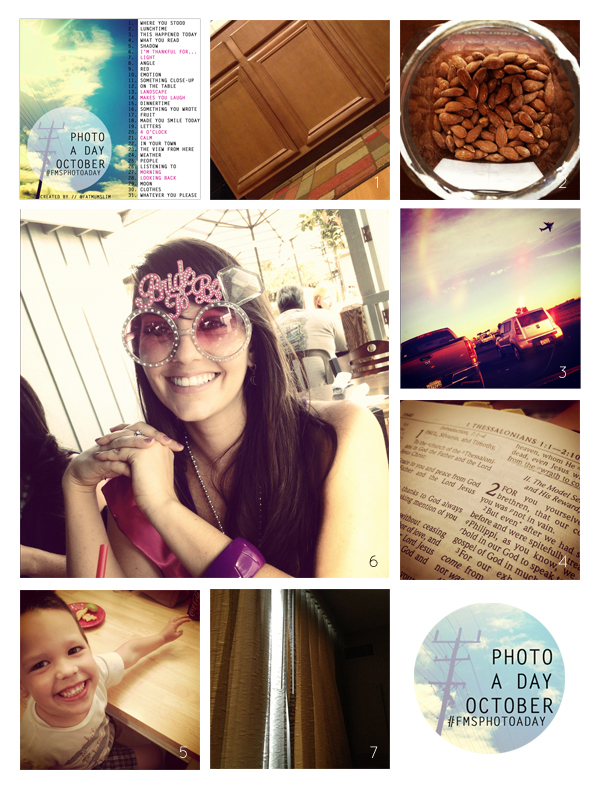 What a great week… so looking forward to the weeks coming up! Wedding, vacation, wedding. Fun fun fun! 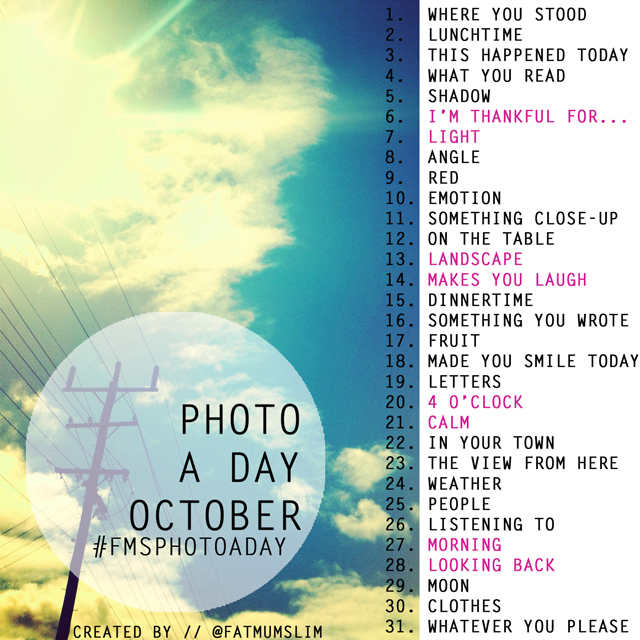 Join in on the photo a day fun, list below!